What do you think of when I say the words "starting your own business"? For some people, that means escaping the 8-5 grind, freedom to make their own schedule, be their own boss, etc. For other, more pragmatic individuals, they might think about the initial costs of starting a business; rent, production, inventory, staff, taxes, etc. When you think about it that way, it doesn't sound all that appealing because of all of the overhead. Ugh. It doesn't seem like a lucrative thing to do. However, there is a third category of people, smack dab in the middle, who can see both the pros and cons of venturing off on their own. This is the ideal approach because you are not hindered by thoughts of overhead costs or blinded by the excitement of it all. I love working with the middle-grounders because they recognize branding as an investment opportunity, not merely an expense. There are 3 main reasons all small business owners should include a budget for branding in their initial startup costs. Have you heard the biblical parable of the man who built his house on the sand? Well, let me tell you, the rains came down and washed it all away. Small businesses pop up all the time with the intention of taking the world by storm, yet they decide to do so with a logo they threw together in Microsoft Paint because it was much cheaper than hiring a designer. I understand, with all of the money going to other things, it makes sense to cut costs somehow... Except that you're building your business on a sandy foundation. Foundations for buildings are made from concrete for strength and stability. This allows them to withstand the immense pressures of an entire structure sitting on top of them. Likewise, if you start out with a professionally designed logo and brand, then you have a rock-solid foundation to build upon. It isn't very often that something beautiful is built on top of a foundation that is already cracking and crumbling. Keep that in mind. Think about it in terms of your business. Is your current branding something you can build your business on? Is it scalable? Meaning, can it expand as your business offers new products or services? Or will it begin to fall apart when some pressure is applied? These are important questions to ask whether you are just starting out or have owned your own business for a while. Thinking about branding as an investment instead of just another expense will be a critical paradigm shift in your business ownership, whether you own a trendy fro-yo shop or a construction business. If you are just starting out, thinking about branding will also help you to zero in on things like: Who is your target demographic? What resonates with them? What problem do they have that you can solve?Who's your biggest competition? Why are they successful? Finding answers to questions like these is going to help position your business for success. A man on the street wearing a confederate flag tank top, a bandana, smoking a cigarette, & has tattoos with questionable associations. A tie-dyed Volkswagon Bus drives by with a large peace sign in the window, the driver has a long beard with beads in it, and has dreadlocks. A man in a highly-tailored suit steps out of an elite office building before smoothly slipping inside his BMW 7 series sedan. Each of these personas painted a much different picture of the person, didn't they? Whether you realized it or not, you immediately made associations and/or snap judgments (good or bad) about those people. The exact same thing happens to businesses all the time. You may have amazing products or killer services, and maybe you have a cult following, but the fact remains that you are missing out on a large chunk of the population if your branding looks questionable, cheap, or just downright bad. The quality of your brand says a lot about your business, which can work in your favor or it can work against you. A well thought out brand should also help tell the story of your company. 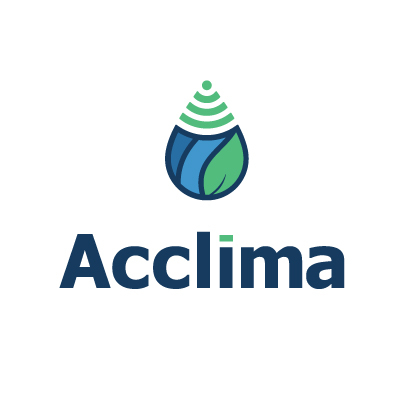 Below you see Acclima's before and after logos. The first logo tells you that they do something with plants and water. Maybe they are an irrigation company or something like that? (Buzzer) Wrong. They produce sensors that emit electronic signals through the ground to measure the condition and water content of the soil. The information produced by the sensors helps farmers and other plant-people to more intelligently water their crops, which in turn produces healthier plants while cutting water costs. Pretty cool, huh? In the rebranding process, I considered this information carefully. I combined the universal symbol for electronic signals into a water droplet shape with a leaf. We even kept the font the same, just removed the dated beveled edges and shadows, and cleaned it up a bit. By doing these things we were able to better tell the story of the company through their branding. Your brand is often a customer's first impression of your company, make it a good one. No one starts a business thinking, "Man, I hope my business becomes a stagnant mess that never becomes anything more!" We all, myself included, want our businesses to grow and thrive, and one of the best ways to do that is to set your brand up for success by thinking about it now. Working with a designer to get your brand started is a great way to get that boost that you need in the beginning, and it will help you avoid the need to restart your brand from scratch as your business grows. Let's face it, when you look good - you feel good. Business ain't no different. 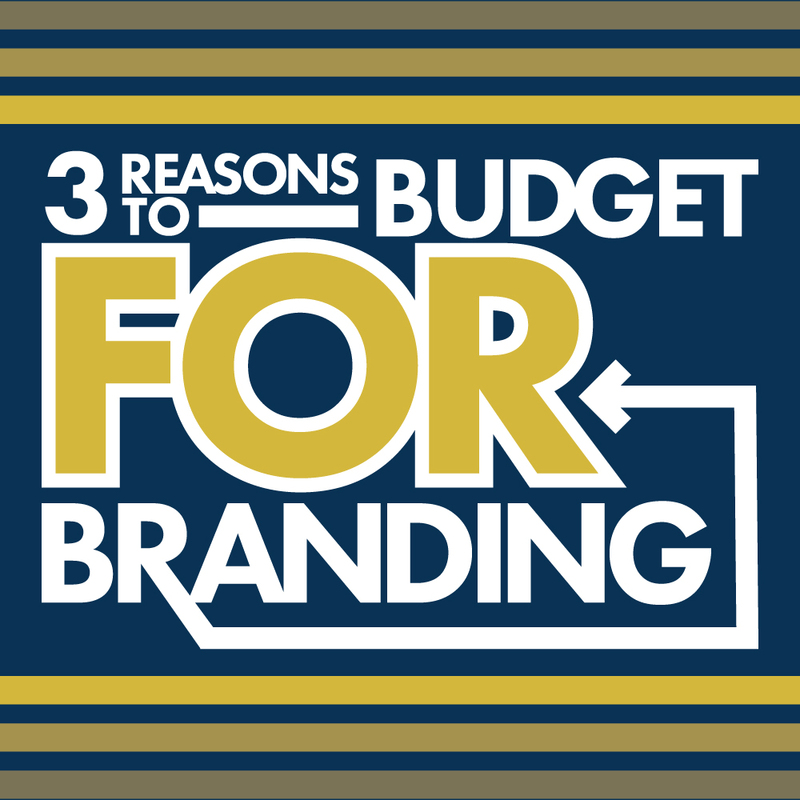 Now that you've read through the 3 reasons to budget for branding, don't get intimidated! Branding is, by nature, and ever evolving beast. It doesn't need to perfect out of the gate, but it does need a good foundation to build on. I started Son of Erik Design to guide you through this process personally, because I love it that much! Let's do this thing.